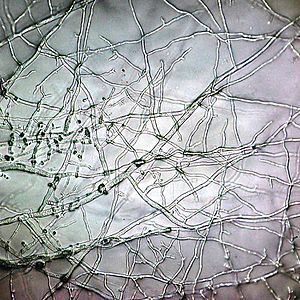 Another microscopic view of a mycelium. Numbered ticks are 230 µm apart. 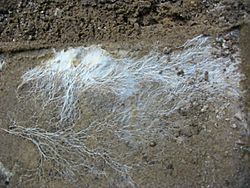 Mycelium Facts for Kids. Kiddle Encyclopedia.